The quickest way to track your food: point your phone at what’s in front of you, and it will automatically log your foods. Automated daily, or weekly reports, sent in e-mail to yourself, or your nutrition specialist. Nutrition information for over 40,000 items verified by the Unites States department of Agriculture’s nutrition scientists. An Exercise journal with a long list of sports and activities allows you to add used energy to your daily goal. 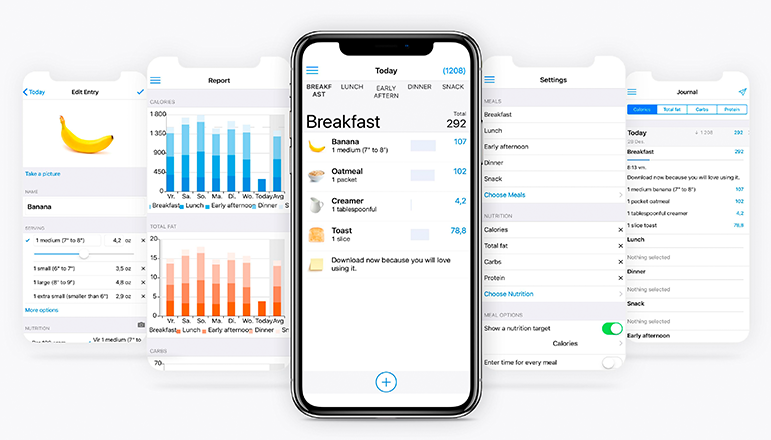 Add custom items, and personal recipes to calculate nutrition. The fastest search screen of any nutrition app. Suggestions and quick access to recent or frequently used foods. Detailed journal, and handy reports to keep you on track. Goals for people that want to gain weight, or keep track of other nutrition points. Track up to 8 meals per day. Log in for automatic back-up, and syncing across devices. Plan out your meals in the future. 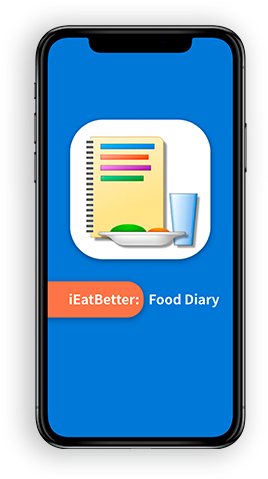 This app has helped me track my food intake very well! I enjoy its features and use it on a daily basis to make sure I get the right amount of protein. This app is really good! I've been using it for a while now and helped me monitor my calories. I've had results from the first week. The app is wonderful at helping me keep track of what I'm eating. I have found that while I'm watching the calories and trying to stay below the limit it gives me, I have managed to stay below the whole time! The app opens directly on the entry screen, on the most recent meal, because that is what you’ll use most. The design makes adding entries as simple and intuitive as possible.